Save Money! These?mini steppers?retail for as much as $69.99 elsewhere online. Fitness Essentials Model 9629 Stair Stepper tones abs, shapes calves, works quads, firms gluts, defines biceps, and tightens your back. These aerobic steppers come with an electronic console indicates step count and elapsed time. The stair stepper exercise gives you both an aerobic as well as anaerobic workout helping you to burn fat, increase cardiovascular circulation, and improve your health and wellness. 250 lb weight limit. The mini stepper is also compact and easy to store and its unique double hydraulic cylinders provide resistance to make your workout customized to your abilities. 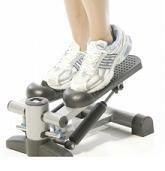 Competitive Edge Products is an authorized reseller of Fitness Essentials Stair Stepper Exercise Equipment.